Eddie King leads pack of Chico State runners at the NCAA West Regional Championships in Billings, Montana. Image courtesy of Gary Towne. 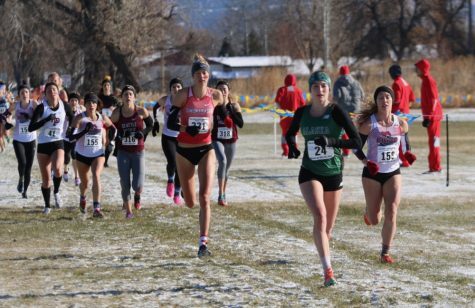 It wasn’t ideal running conditions for the National Collegiate Athletic Association Championships on Saturday morning. The Bob O’Connor Golf Course at Schenley Park in Pittsburgh, Pennsylvania is a hill-covered course. The muddy terrain forced runners to use half-inch spikes. Coach Gary Towne said it was one of the toughest courses he has seen in his 23 years. 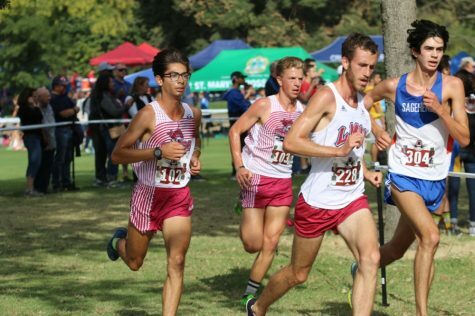 Chico State’s men and women’s cross-country both finished in the top ten in their respective races; the men for the 19th time in 20 season and women for the 16th time in 17 seasons. 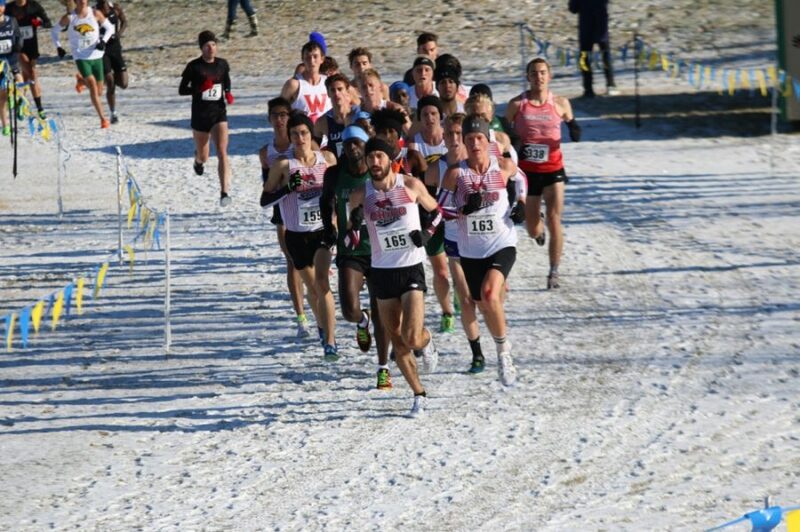 The men placed 7th overall out of 34 teams in their 10k race, two places better than last season. 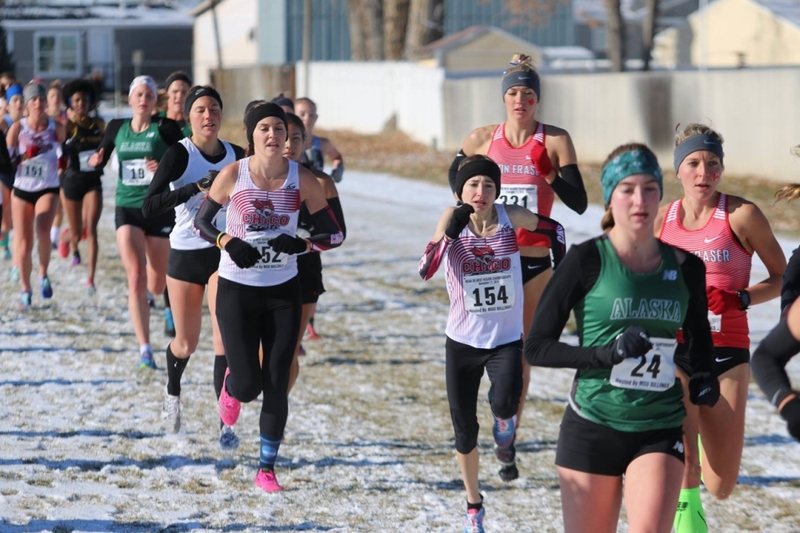 While women’s placed 8th out of 34 teams in their 6k race, but unfortunately broke a three year streak of 4th place podium finishes. 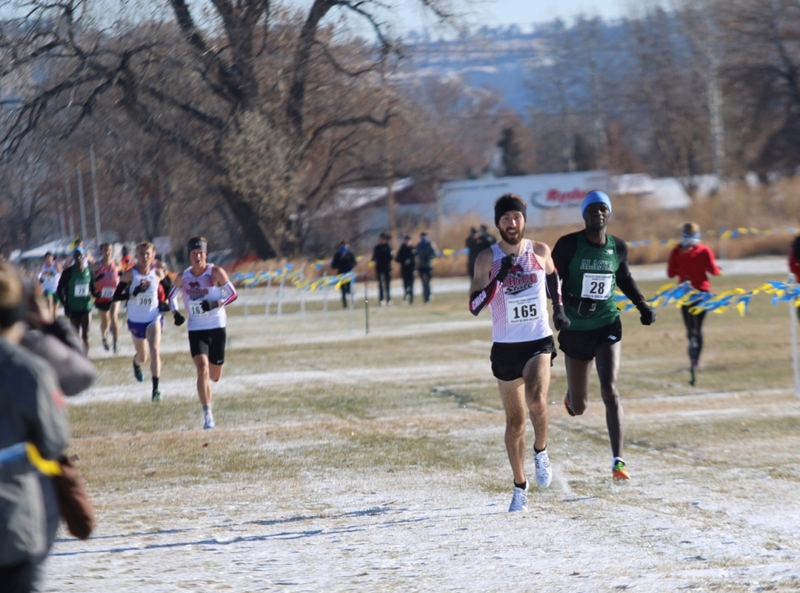 Eddie King pulls ahead in the NCAA West Regional Championships to win his second straight championship. 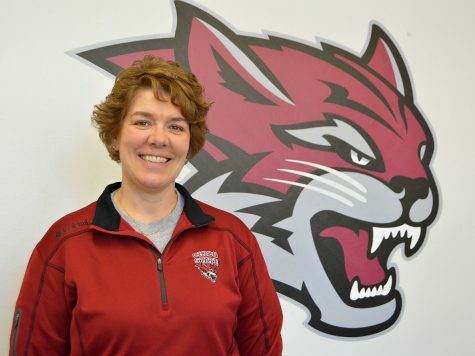 Image courtesy of Gary Towne. 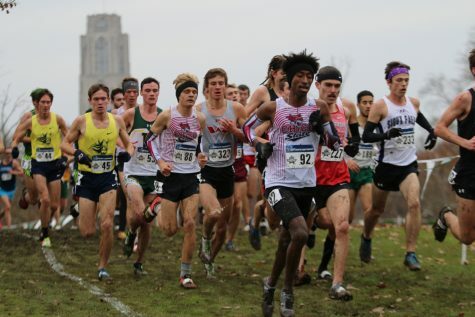 Men’s cross-country ended up producing three All-Americans, given to those who place in the top-50: Teddy Kassa lead the way in 37th place with a 33:23.4 time, following him was Wyatt Baxter in 39th and the last Chico All-American was Jhavahn Holston in 40th. 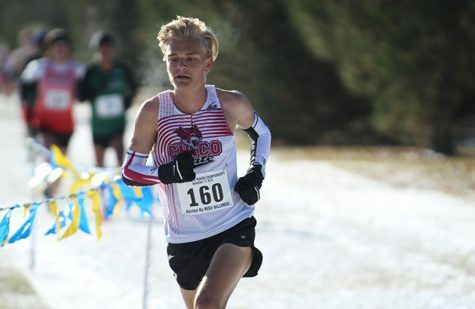 Rounding out the Wildcats scoring was the CCAA and West Region Athlete of the year Eddie King, who fell sick during the week, and yet still placed 79th. 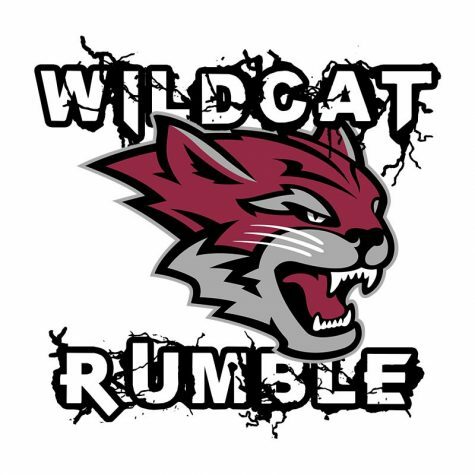 Jason Intravaia finished 85th, Jack Johnson in 125th and right behind him in 126th was freshman runner Jack Emanuel with a time of 34:54.5, making the final score 230. Alexandria Tucker (front of pack) leads the Chico Women in the NCAA West Regional Championships. Image courtesy of Gary Towne. 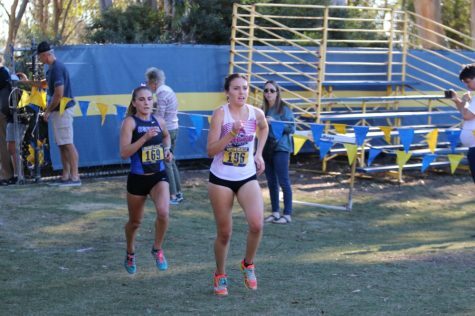 The women were lead by Nora Pizzella in 53rd place, at 23:46.6, followed by Desirae Jones in 63rd, next was Karlie Garcia in 74th. 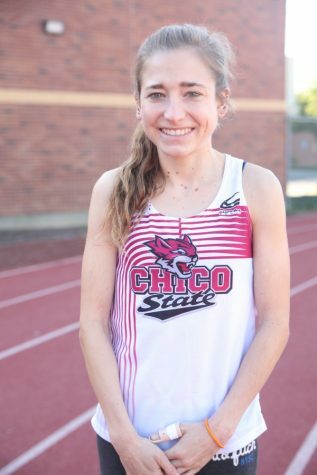 Talia Swangler, a local from Paradise whose hometown was decimated by the Camp Fire, finished in 84th, Kayden Carpenter in 96th, Haley Boynton in 103rd and topping-off the scoring was Alexandria Tucker at 128th with a time of 24:41.9. 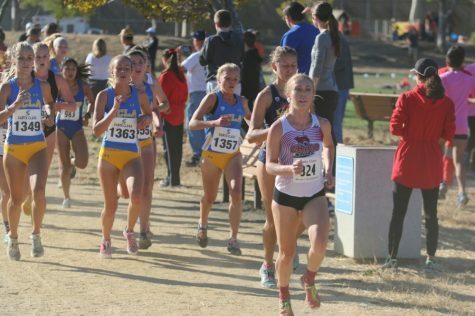 Kayden Carpenter (left) and Karlie Garcia (right) run together during the women's 6k in the NCAA West Regional Championships. Image courtesy of Gary Towne. 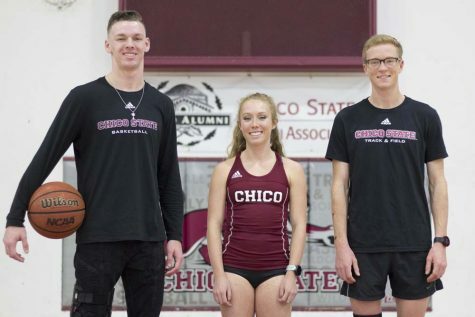 Overall, the season was not what the team was hoping for, but it nonetheless stretched the two decades of dominance under coach Towne that Chico State has had. 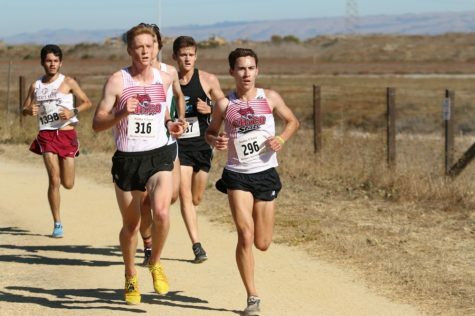 With many faces returning next year we can expect more, if not the same, from Chico State cross-country next season. Coach Gary Towne has shown that his teams can make some noise every year.